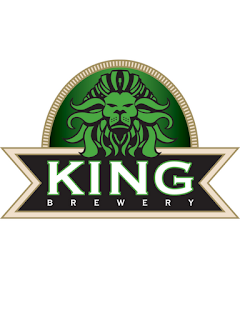 King Brewery’s “Dark Lager,” “Pilsner” and “Vienna Lager” all won silver medals in their respective categories in the 2012 Beverage Tasting Institute World Beer Championships. Founded in 1994, the BTI World Beer Championships is America’s oldest international beer competition, open to all commercially produced beers from around the world, regardless of distribution. It is a medal-based competition that awards its medals based on the proprietary blind tasting methodology developed by the Beverage Testing Institute (BTI) and a 100-point quality rating scale. “To be awarded a silver medal for all 3 of our King brands is a huge accomplishment”. said Bryan Watts, King Brewery’s Vice President of Sales and Marketing. “We are extremely proud of our brewmaster, Phil DiFonzo and his brewery team for their hard work, dedication and passion for creating great tasting, high quality craft beers”.